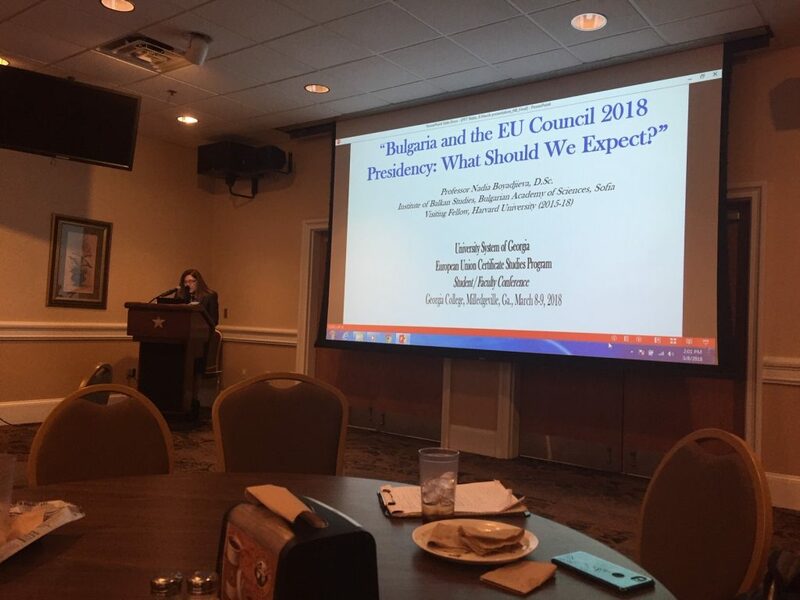 WHAT: The European Union Studies Program of the University System of Georgia invites students from program institutions* and Georgia College and State University to showcase their research on the European Union and EU-related topics at the annual EU Studies Program Student Conference, to be held March 27-29, 2019 at Georgia College & State University, Milledgeville, GA.
Students may present research papers written for courses in previous semesters, or being written for a course in the current semester. Independent study research papers are also welcome. How: Paper proposals must be nominated by the EU Studies Program campus representative at the student’s school. A list of campus program representatives can be found here. Students, through their campus representative, must submit an abstract (150-word limit) summarizing the content of their paper. Financial support for conference travel expenses may be available at the student’s home institution. Check with your campus program representative.